At Eco-Friendly Organic Baby Clothing Store, we are featuring adorable clothing which was produced without being harmful to the environment. Our clothing is made from organic wholesome material such as cotton which was grown on farms and not treated with harsh chemicals. These products are 100% cotton. Buying organic baby clothing is good for the environment and will help you help the environment. 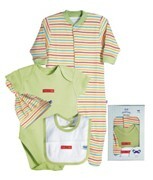 The gifts sets are a gorgeous organic cotton set. 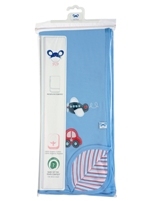 Treat your little bundle of joy to a wonderful gift set.